This is another instance of where most drivers would shake their heads and ask themselves “Just what were they thinking?” I’m speaking of a video of two drivers on a freeway using the left lane during an instance of congestion. The pickup noses up the the rear end of the car and the car driver spikes the brakes resulting in a minor collision. I’ll venture to suggest that in this case, neither driver was thinking at all. After interviewing both drivers and completing the collision report, it was then time to get out the ticket book. Each driver was issued a violation ticket for their contribution to the collision, the obvious one was following too closely and the other for driving without reasonable consideration for others using the highway. Ultimately, neither ticket was disputed. It may be a coincidence as the video is only 38 seconds long, but I wonder if this incident had been building for some time. The traffic in the right lane is moving faster than the traffic in the left lane until after the collision occurs. At that point, traffic in both lanes appears to be moving with the same speed. The driver who caused the collision may also be a left lane blocker. Here in B.C. if you are slower traffic in the left lane, you are obligated to move to the right lane, regardless of the fact that you may be driving at or over the speed limit. Tailgating or following too closely is epidemic on our highways. Some drivers do it because they are poor judges of visual distance, some are careless and others use it as a method of intimidating slower drivers to move them out of the way. Solutions range from teaching drivers the two second rule (which has recently started to become the three second rule) to painting dots on the highway to show drivers how much space should be kept between vehicles at minimum. B.C. 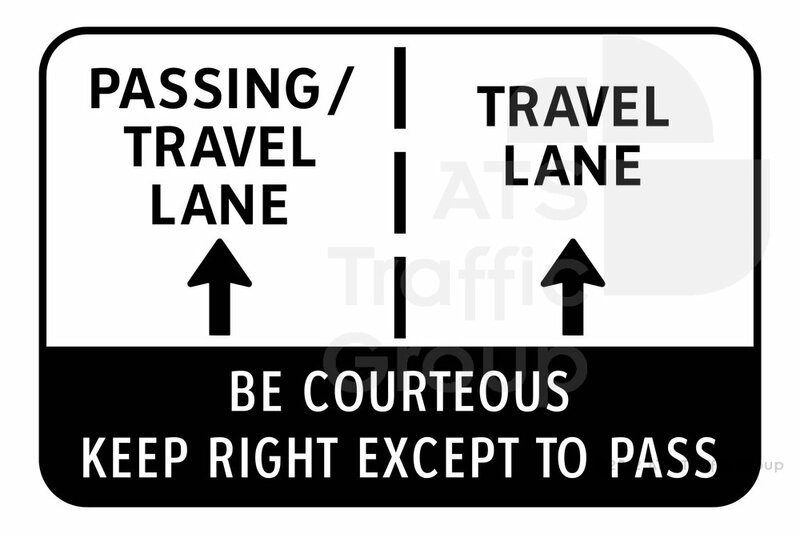 has begun to post two new road signs, one advising drivers to keep right and let others pass and the other suggesting one should be courteous and keep right to let others pass. Comments on the TranBC blog seem to indicate that drivers are ignoring the signs and that without significant enforcement by police nothing will change. It’s a pity that courtesy is not a consideration to extend to others when it comes to using the highway. I’ll conclude with something to think about. Following distance at two to three seconds is merely a buffer to give you time to think and react to a change in traffic ahead. It does not include braking distance considerations and may have to be significantly extended in times of poor traction. Self preservation may mean slowing down further or even stopping off the roadway to encourage that tailgater to move on by. The case of Maddex v Sigouin looks at somewhat similar circumstances and decides liability for the resulting collision. Is it just me, or is there a tendency for some young men in pickup trucks to get on the bumper of the car ahead in order to deliberately try to force them to speed up and/or move over? What never seems to occur to this type of driver is that in solid traffic, such as we see in the video, they might manage to force dozens of drivers out of their way - but it won't make a damn bit of difference really as to when they will get where they're going. By the way, Tim, you may not always have been 2 seconds (or more) behind that white car in front of you who was half in his lane and half on the shoulder ... but don't worry, we all felt safe none the less. Another dig at me,,,, right after your post. If you look at the video it is not Tim unless he uses the name Godzilla Godzuki on YouTube, I guess I could be wrong though. But yes I agree, it's one thing to touch your brake peddle to just make the lights come on to try and get the tailgater to back off, but to intentionally try and cause a crash is not very smart. Why not just move to the right lane, and lose the extreme aggressive driver. Tyler Johnson's girlfriend that was driving the car with the dash cam didn't stop for fear of road rage, and as this is down south close to Interstate 15 in the USA, I don't blame her, they could be packing guns there. I would have given a copy of the video to the police with the location & time though if it was my girlfriend driving. I can see touching the break pedal to make the lights come on to try and make the extreme tailgater back off, but to slam the brakes on isn't too smart. I would have just moved to the right lane to avoid the danger. Hadn't even noticed who video'd and posted the original, figured it was one of Tim's near Nanaimo. Pretty sure you're right about the GG moniker, too! It down in San Diago, East bound on Ted Williams Hwy (56) Right by Costa Del Sol West, that's roughly half way between I5 & I15. Judging from the video it appears that the white car had been holding up the left lane for some period of time as it was moving slower than the right and once you were past the white car that suddenly braked the speed picks up matching that on the right. What is there though with so many drivers that do follow the speed limit to a "T" that they feel it is their duty to impose highway rules? If this had happened in B.C. the driver in the left lane going slower than the right should have been charged with failure to keep right. Yet the fact they are breaking a law as well as the speeder never occurs in their mind. It is those darn speeders that cause all the accidents and damn it I have to enforce the law. Going with pet peeves maybe the owner of the site could explain why with the current law of keep right except to pass I find the cops sitting in the left lane. Should they not be setting an example? Have you seen the ABC news teams in the U.S. that have been checking the speed of police driving with no emergency equipment operating? And one of them was going for donuts! You will see at the 20 second mark the white car was clearly keeping up with the flow with no large gap, so no it was not holding up traffic. And as it was solid traffic in both lanes, the white car was actually following the law right up to where it slammed it's brakes on for no reason. Actually I do not see what you see in this video. When the video starts we see a white car in the right lane that is crossing over the fog line on the right side of the road several times that appears to be keeping pace with the traffic that is some distance ahead of him. In the left lane we see cars that are hitting their brakes to slow down as that left lane is starting to travel slower than the right. At the 20 second mark that you mention you will notice that the right lane is definitely traveling faster than the left as that is how we are able to see the accident happen. The cars in the right lane were passing the cars in the left and getting closer to the vehicle that was causing the problems. You will also notice that the pick-up applies his brakes and appears to brake heavily just prior to the person in the car directly in front of him slamming on the brakes and appear to come close to a stop. I agree with you the person in the pick-up is tailgating the car in front of him but it does appear that he did take some action to slow although it was too late he was already tailgating. But I think in this case one might want to consider what another poster posted on these forums where he deliberately slows down when a vehicle gets to close to him. If this is what the driver of the car did it is possible the pick-up driver failed to recognize the extend that this person was slowing. If I was the driver of the pick-up I would have moved to the right lane. Watch the video on a bigger screen, it's very clear. My computer is hooked up to a big screen TV, not just a smaller computer screen, so maybe that's why it's so clear to me, and I have watched this many times, stopping it second by second. At the 16 second mark you can clearly see the back of the pickup truck with another vehicle ahead of it not too far, and as it's a left bend in the Hwy and the pickup truck is so close to to white car, you can't even see it yet between it and the other vehicle.Then at the 18-19 second mark you can see the white car in the middle,,,, correct? Then from the 19 second mark to the 21 second mark you can now see 3 vehicles in front of the pickup,then by the 23 second mark you can clearly now see there are 5 cars in front of that pickup, correct? At the 23 to 24 second mark is finally where the white car starts slowing down as the driver is clearly getting frustrated and at the 24 to 25 second mark is where the brake lights come on and the white car finally pins the brakes, correct? Why it slowed & then slammed it's brakes on illegally to purposely cause a crash will remain a mystery as it was rush hour and nothing much to gain even if you moved to the right lane, that's how rush hour works, the right lane goes faster for a bit, then the left lane goes faster for a bit, so unless someone is going to dangerously & illegally drive up the shoulder, both lanes will reach the same point ahead within seconds of each other over the distance on the average. OK, I only have a 19" monitor so will try to watch on something bigger. It could change what I am seeing. Could you please post the URL of where I can watch this on Youtube as currently I can only watch on the very small section of the monitor that shows up on this site. Probably no bigger than 6" x 4" so probably am missing a lot. The menu will appear on the bottom of the video and you can click on the YouTube symbol to watch it. This has been in the MVA ever since I started (officially) driving in 1952 and probably long before that. It was a nice, clear, concise statement based upon a long forgotten premise .... courtesy. Indeed, it is not my job to judge how you want to drive. If you want to drive well over the posted speed limits, go right ahead. It's the police officer's job to curtail you, not me. Besides, if you're a total twit, I'd far rather have you in front of me than behind and tailgateing. Unless I see that you are drunk, I really don't care what you do. A couple of years ago, Todd Stone decided to fiddle with the wording. But he wasn't the first. The minions in the Highways Department had already been changing the wording by signing, "Slower Traffic Keep Right". Well, slower than what? It was a meaningless waste of paint. Rather than just enforce the existing law, Stone had to re-write it with a whole mess of additions such as being applicable only over 80 on Provincial highways, etc. Ok, so he complicated the wording from a nice, simple statement but then has totally failed to have it enforced! In a face to face meeting, I asked him why no enforcement. His reply was that it was up to the public to request enforcement from the appropriate police departments. Sorry, but my reply decended to remarks about his habits and mental capacity ..... along with questioning just who was the Minister of Transport anyway? Laws without enforcement are not only meaningless, they make a mockery of the entire system. But then, how do you enforce Common Courtesy? Hawk made the statement "Keep Right Except to Pass" has been in the act since at least 1952. I didn't "officially" get my licence till 1956 and here is where I wonder if you can remember a bit more about this statement. In the back of my little memory bank did it not say in 1952 that if there was 3 cars behind you that you had to pull over and let them pass as soon as it was safe to do so? There was no mention to the number of lanes of traffic. It was as you said a nice clear and concise statement. If you are impeding traffic you had to move over and let them pass. My brother got his licence in 1952 and I had that book memorized then and I am sure there was a definite number of vehicles that made it mandatory for one to pull over and let them pass. And as there is very few sections of road in B.C. where it is not possible to pull over and let the accumulated traffic go by that annoys me when I meet a cop car and he does not stop the lead vehicle and charge them for impeding traffic. And another reason I believe that was the wording was many years back at least the 70's early 80's at the most I was stuck behind a motorhome and every time we hit a straight stretch he would speed up making it impossible to get by. We met a police car going in the opposite direction and he turned around and pulled the motorhome over. Thus the line-up of cars was able to get by.